I can’t remember a time when I wasn’t hearing about the miraculous things Jesus did while on earth. Healing sick people, turning water into wine, and multiplying fish and loaves of bread is pretty basic children’s church curriculum. I’m probably not alone in this, but I wondered why I didn’t see Jesus do the kind of miracles He did in the Bible in my small world. I wanted to see Jesus multiply my chicken nuggets and give me Spider-Man powers. Little did I know, the lives of the people around me were miracles unto themselves — miracles so powerful that they would last an eternity. Webster’s Dictionary describes a miracle as “an extraordinary event taken as a sign of the supernatural power of God.” This makes most of us think of supernatural healing, events outside the laws of science, or extraordinary circumstances too coincidental to not be sanctioned by God. While those things are miracles, they are not the only kind of miracles. Eugene Peterson wrote, "When something happens that we can’t explain, we say that’s a miracle. Under that set of definitions, most things that a magician does would be a miracle to me, and I know good and well they aren’t. Miracle, through the biblical tradition, is not what we don’t understand but what is done for us that we can’t do ourselves. Miracle is functional. It’s what God does for us or does for us through other people that we can’t do ourselves." God does things only He can do in show-stopping fashion. But God also displays His power by responding to every prayer, confession, and moment of worship. 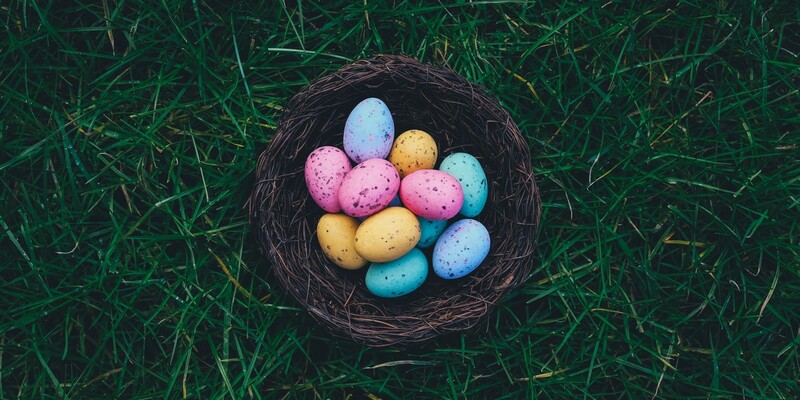 Easter is not just a time to wear your Sunday best and eat a lot of chocolate — although I’ll be doing both of those things. Easter is a time to reflect on the most miraculous thing ever to happen. Jesus stepped onto the scene and changed everything. Old laws didn’t matter anymore, and righteousness was redefined. Jesus turned water into wine, healed the sick, brought people back to life, and eventually came back to life Himself! Jesus did what we could never do for ourselves. Jesus made a way to permanently remove the sin that separated us from God and made us co-heirs in His kingdom. Then, before Jesus returned to heaven, He shared one more important lesson on God’s miracle-working abilities. After the Lord Jesus had spoken to them, he was taken up into heaven and he sat at the right hand of God. Then the disciples went out and preached everywhere, and the Lord worked with them and confirmed his word by the signs that accompanied it” (Mark 16:15-20). This was more than a “flex.” It was Jesus proving just how serious God is about working through us to show His power. As others interact with us, they come to know who Jesus is. The disciples and the early church’s response to this calling was to devote themselves to prayer, fasting, and worship (Acts 1:14, Acts 2:42). So what about us? What can we do in response to the miracles God has worked, and is working, in our lives? Did you know that celebration can be a spiritual discipline? Celebrating might not seem spiritual or like a discipline because it isn’t hard — it’s actually pretty fun! God is delighted when we celebrate the miracles He performs, especially the miracle of salvation. Asking for a friend to be healed, for a circumstance to change, or for a shift in your heart. Having faith that God can and will perform miracles is a great way to connect with Him at Easter and always. Celebrate what God has done in the past and be expectant for what He will do in the future! 3. Go and tell others of God’s miracles. The greatest miracle ever is the one that granted salvation to us all. Why wouldn’t we share that? If we saw Jesus multiply a few fishes and loaves to feed a mass of people, we would put it on Instagram and shout about it from the rooftops! After the disciples reflected and celebrated the work Jesus had done, they got to work. They traveled the known world telling people of this amazing man named Jesus who not only did a lot of healing and multiplying but came to die for their sins. That is great news people still need to hear today! Celebrate the miracle of Easter at NewSpring. Get service times and details here. Discover more about salvation, miracles, easter.